Mangrove trees are an essential source of resources for humans and animals alike – and despite how deforestation has put the trees in a precarious position, one man has dedicated his entire life to protecting them. 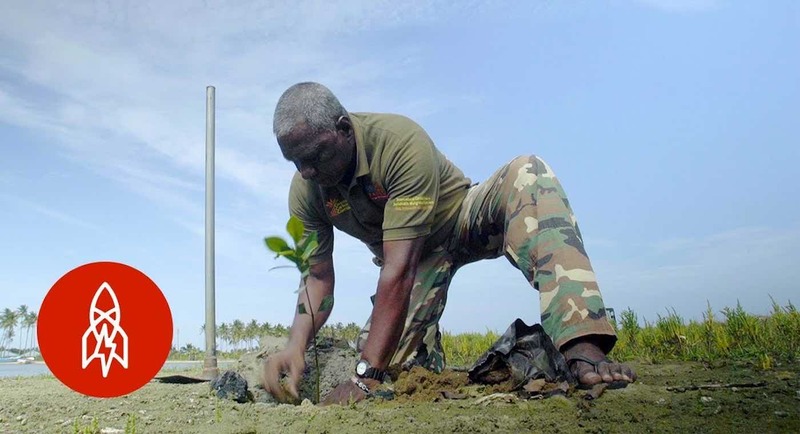 Douglas Thisera, also known as the “Mangrove Master”, has planted over 2 million mangrove saplings across his home country of Sri Lanka in a bid to preserve the precious foliage. Thisera first learned about the importance of mangroves when he began work as a fisherman at 11 years old. All of the crabs, shrimp and fish that he depended on for his own livelihood depended on mangroves as their source of food and shelter. Though Thisera has been working in conservation since 1992, he has spent the last 16 years planting the saplings and organizing community projects to protect mangrove forests from being torn down for industrialization purposes.